“ADMAG TI” is abbreviation for ”ADMAG Total Insight”. Every application is different. 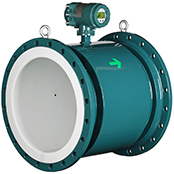 Selecting the correct size and model of magnetic flowmeter can be a challenge. The ADMAG TI selection tool allows for user friendly operation, ensuring that the flow meter selected is the best fit for your process. The ADMAG TI series works with you. With multiple languages to choose from and a simplified intuitive step by step guide for easy set up, you can significantly reduce start up time. Once operational, understanding the process is as important as measuring it. The ADMAG TI series advanced diagnostic puts you at the forefront of any process upsets. Application diagnostic make it easier to troubleshoot problems that occur in your process. The diagnostic suite in the ADMAG TI series is your first line of defence and allows preventative measures to be taken before a problem even occurs. Knowing that your flowmeter is still performing well gives you confidence in its measurements and peace of mind. Calibration checks can often be costly and time consuming, and involve downtime in plant operation. The ADMAG TI series built-in verification function can check your flowmeter while in-line. The built-in verification function is simple to initiate and quick to use and checks the entire flowmeter's integrity and health. Featuring an industrial microSD card, the ADMAG TI series makes the duplication of parameter settings on multiple flowmeters fast and easy. Parameter and process data can be stored and retrieved on a computer, making local and remote analysis simple. Featuring multiple I/O configurations, the outputs available can be tailored to your specific needs. This means you get only the information you need, without paying for excess. With worldwide approvals and safety certification available, you can get the best fit solution for your process. 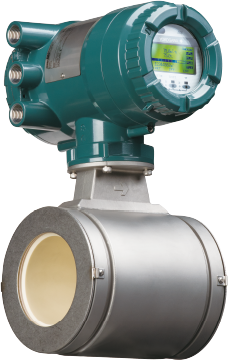 In keeping with YOKOGAWA's philosophy, the ADMAG TI series transmitters are backwards compatible with previous generations of YOKOGAWA flow sensors.